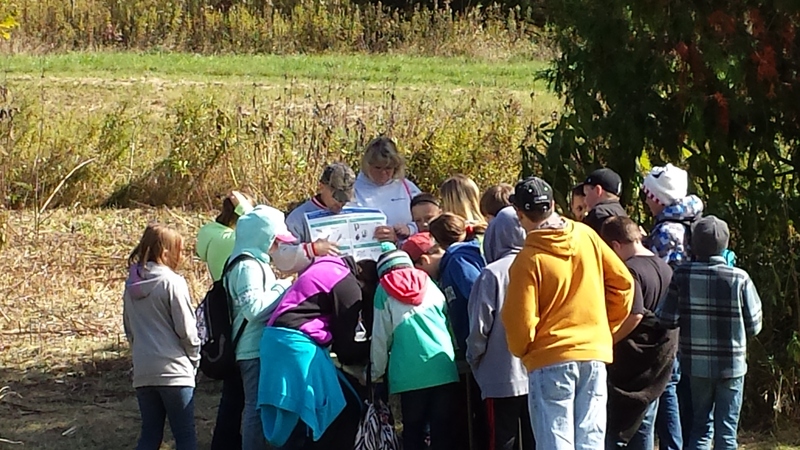 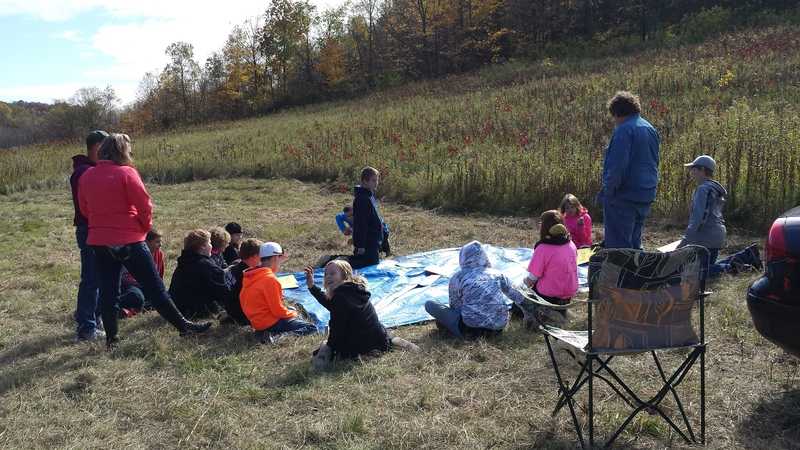 Field days were October 7 & 9, 2014. Field days are for the area 6th grade classes. 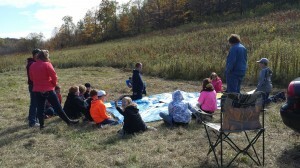 Fields days are held at the Ash Creek property. 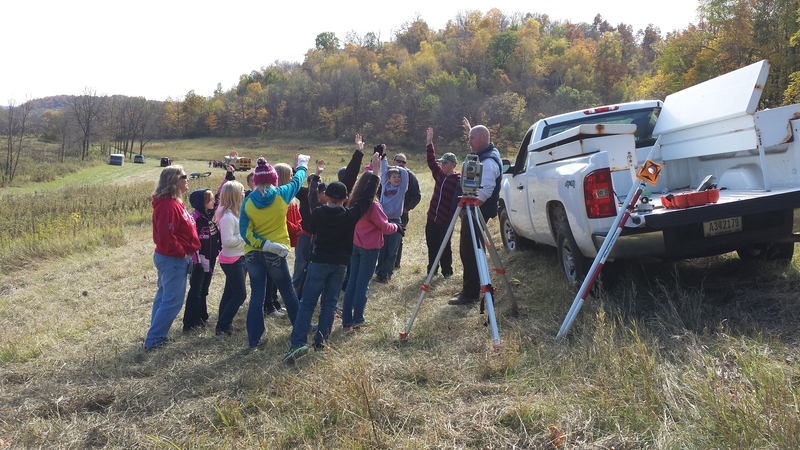 Todd Cockroft, NRCS technician, discussing surveying with a group of students. Ken Anderson discussing the variety of aquatic species with the students. 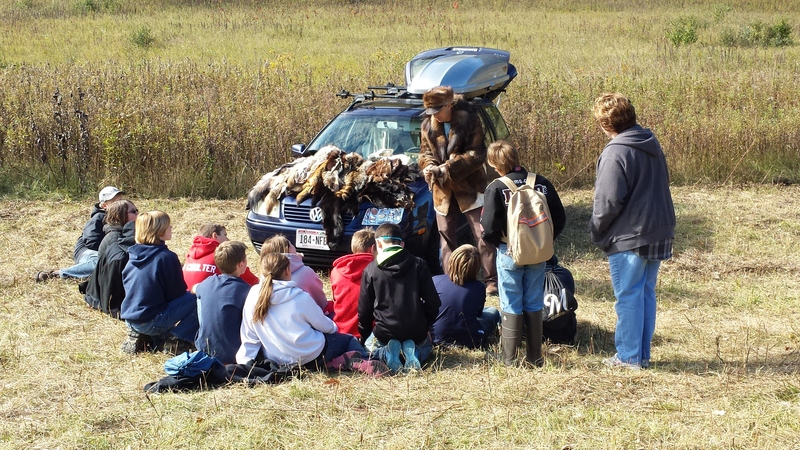 Dan Goltz sharing different kinds of fur pelts with the students. 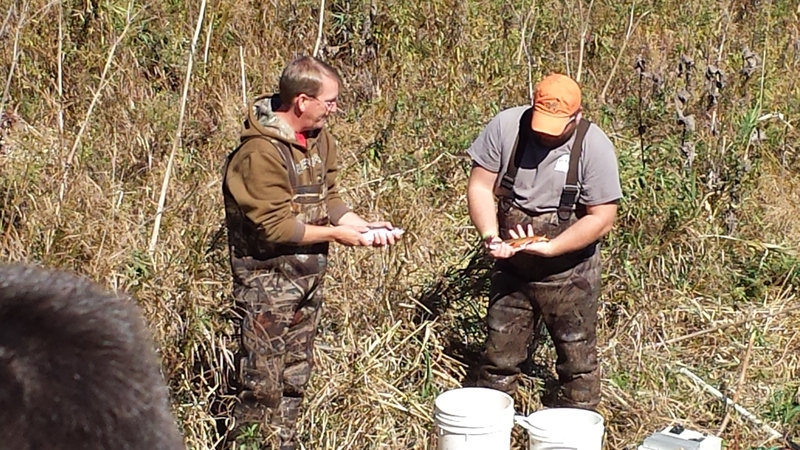 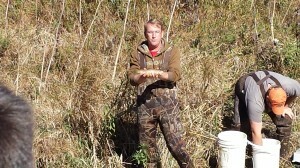 Brad Sims and assistant showing some of the various species of fish in the creek. 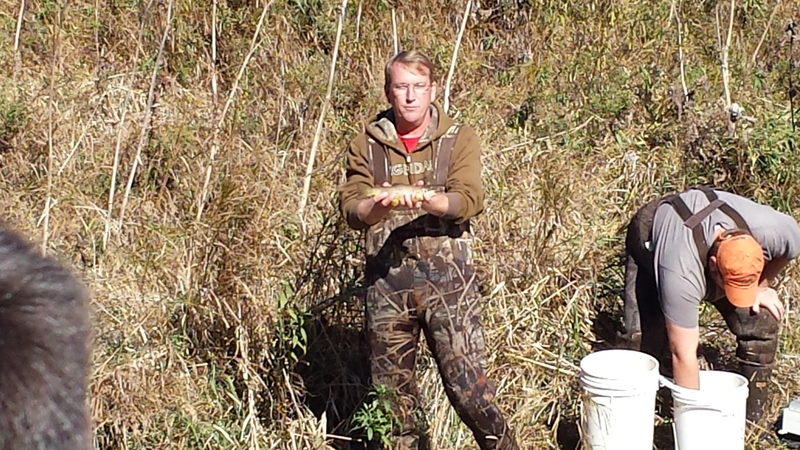 Brad showing more of the fish. 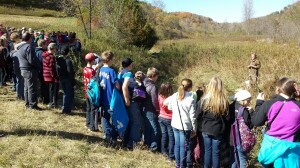 A group of students lined up for the fish shocking. Kent Marshall discussing land planning with a group of students.